The Geothermal Atlas project is aimed at the characterization, classification and mapping of geothermal resources, conventional and unconventional types, for the production of electricity in the regions of Southern Italy. It also provides training and information stretched to increase the skills of the industry and the public’s knowledge about the various aspects of geothermal energy, especially the unconventional, in order to promote the knowledge, the use and acceptability. Information, promotion and training in the geothermal field. 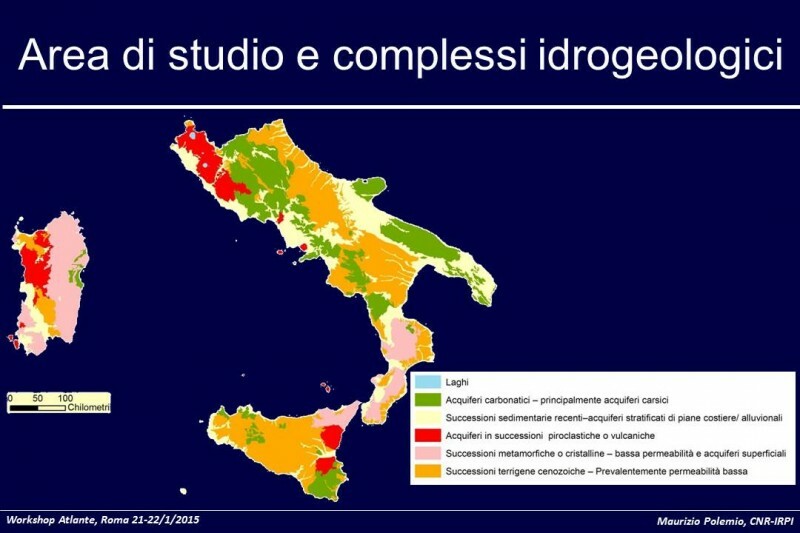 In order to identify the geothermal areas located in the regions of the Southern Italy, the previous data, available at the CNR institutions and in the literature (structural-geological, geochemical, petrographic, hydrogeological, deep thermal data, conditions of strain and stress in the deep zones etc.) are synthetized, including also the data coming from the volcanic areas. An analysis of these data will then be able to define the geological systems, the hydrothermal and hydrogeological settings of the studied regions, which are the fundamental elements for the construction of the Geothermal Atlas of the the southern regions. At the same time, it will prepare databases and geographic information systems including all the surface and subsurface data, available for a sustainable management of geothermal energy. The knowledge gained are disseminated through training and information activities. Creation of a Geothermal Atlas for the regions of Southern Italy implementing the conventional and unconventional geothermal resources, able to produce geothermal energy useful for conversion into electricity and heat co-production. Updated database and geothermal information desk related to the regions of the South. A detailed analysis of the environmental parameters and definition of criteria for sustainable management and maintenance of the resources. The project represents a first level of geothermal data systematization through an updated atlas of geothermal resources of the southern regions, which are important for the economy and sustainable development of the regions, together with the exploitation of unconventional geothermal resources. 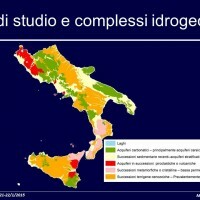 Client: Il Progetto Atlante è uno dei sei progetti di ricerca scientifica e tecnologica afferenti al Programma “CNR per il Mezzogiorno” del Consiglio Nazionale delle Ricerche richiesto dal Ministero dell’Economia.